The country's capital and largest city, Berlin is a diverse urban center boasting a lively nightlife and countless things to do. You're faced with a dizzying array of choices for cafes, clubs, bars, museums, galleries, shops, historic sites, and other places to visit. Berlin's architecture is quite varied. Most of it was severely damaged in the final years of World War II. 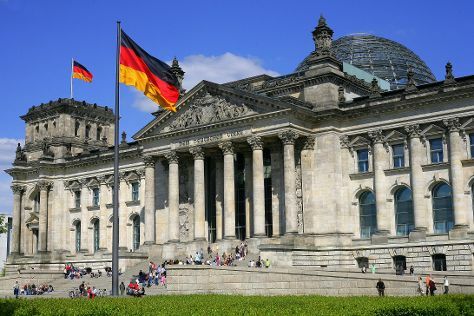 However, in the last 20 years, the city has become renowned for its mix of renovated old structures and innovative new ones, including fusions of both, such as the Reichstag Building and Kaiser Wilhelm Memorial Church. You can see examples of many historic periods within the city center. Look for everything from elegantly restored medieval palaces to ultra-modern steel structures. The latter are famous worldwide for their groundbreaking design. Berlin was once a divided city representing a deep separation between the East and the West. Today, the city throbs with a youthful energy. It's now the heart of the country's commerce, art, and science. And it's an important symbol of European unity and cosmopolitanism. Berlin is in Germany. To personalize your trip to Berlin, create itinerary details specific to you using our Germany sightseeing planner.